Madagascar is one of the first countries where WWF has sought to innovate on the field in terms of restoring degraded forests in the east-central part of the country. The Earth loses 7 million hectares of forest each year. An alarming situation that deserves to be addressed at global level. African countries are therefore committed to reversing the situation. Two international strategic meetings on forest restoration are taking place this week in Nairobi, Kenya: the meeting of the African Forest Landscape Restoration Initiative (AFR100) from August 26 to 28 and the Global Landscape Forum (GLF) on 29 and 30 August. WWF's global strategy is to help restoring 350 million hectares of degraded forest landscapes by 2030. For Nanie Ratsifandrihamanana, "the focus is not just on planting trees for ecological priorities, but for a toolbox of agricultural, forestry and social activities, benefiting for nature and communities at the same time. (...) It was a demanding learning process for all of us. " To these thirteen years of restoration, from challenges and experiences gained in the Fandriana Vondrozo Corridor, WWF has published a report highlighting the restoration of more than 6,700 ha of forest area, reducing deforestation from 2.58 to 1% and a 30% increase in community incomes through sustainable production systems. 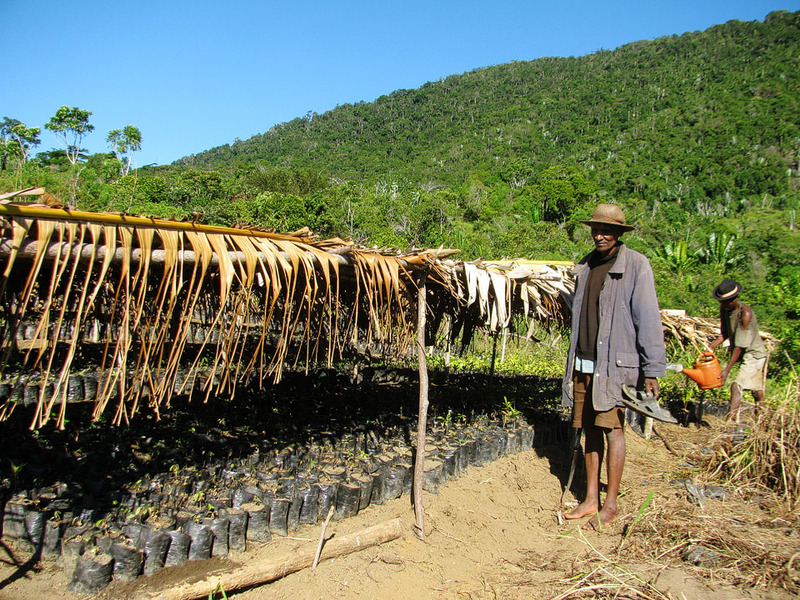 Available for download here, this document shares detailed lessons learned on forest restoration from the Malagasy example. The main guarantee of success is that forest restoration should include, as a matter of priority, the appropriation of communities living close to forests. Also, it is a continuous process in the medium and long term that can only be measured in decades.